The Maxwell Fireplace boasts a vintage styling and a unique three step distressing technique. Fireplace has a Blackwash finish and includes a mantel, firebox with remote control, programmable thermostat, timer function, brightness settings and ultra bright Vivid Flame LED technology. 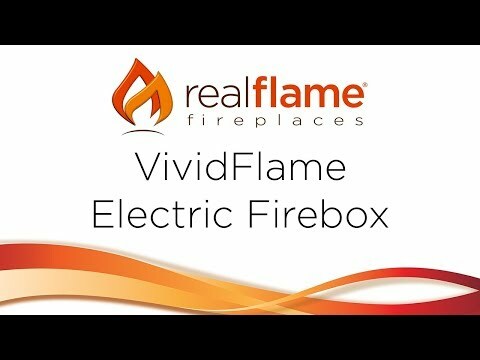 The Vivid Flame Electric Firebox is a 1400 watt heater that is rated for over 4700 BTUs per hour and plugs into any standard outlet for a convenient set up. Provides supplemental heating for up to 1000 square feet. 1,000 Sq. Ft. -- 1,000 Sq. Ft. 400 Sq. Ft.